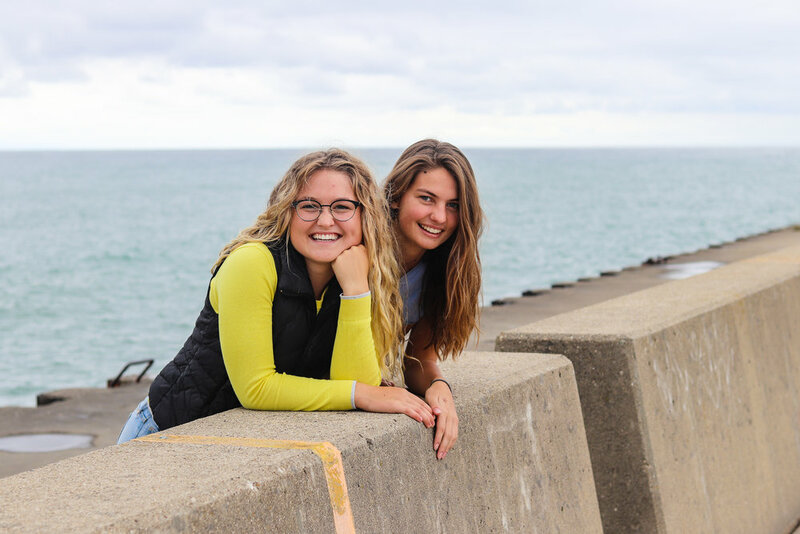 Team Africa has completed our first missions trip of the year, and we have been forever impacted by what we experienced in Chicago and Milwaukee! 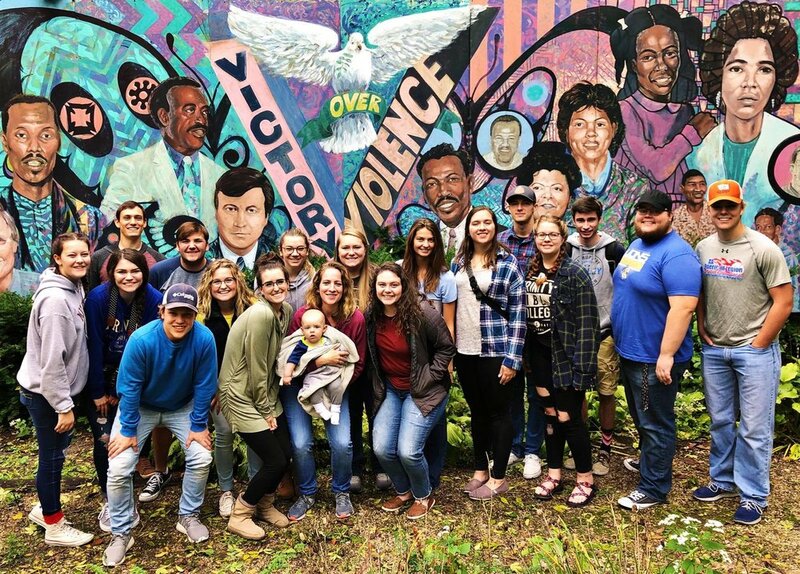 Before we even headed out on the trip our team had a deep desire to grow in our own personal relationships with God by experiencing the world around us and to tell others about Him. We did not want to just hear phrases like, “God break my heart for what breaks yours.” We actually wanted to feel it. We definitely experienced this through our time ministering to those forgotten, becoming educated on present day racial residue, praying for the lost, and simply sitting down to listen with those on the streets. 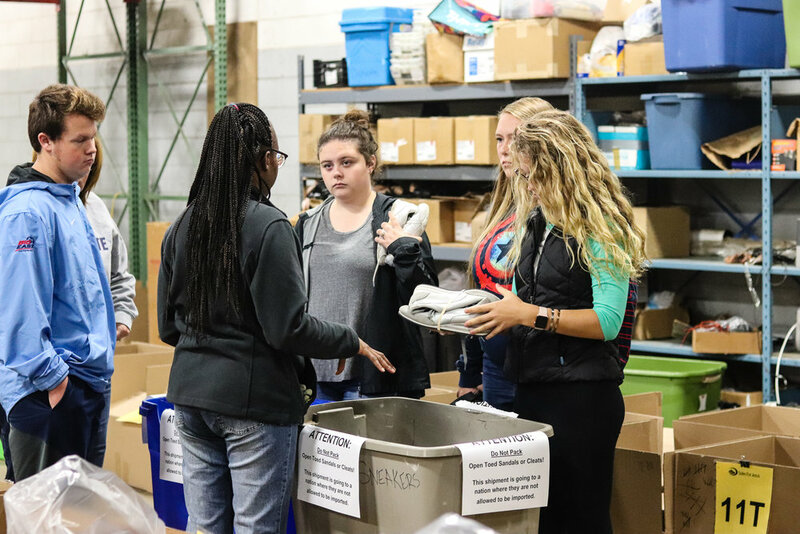 Our first morning in Chicago was spent working with the ministry Seeds of Compassion. This is PackYourBags 2nd year working with this ministry and we are so grateful for the ministry they do among those who are homeless. I can remember vividly sitting down with a man in his “home” under an underpass. We sat and ministered to a man whose heart had become bitter and hardened towards God — but by the end of the conversation his heart became tender towards God. It was an incredible experience. Yet, we often wonder how far those moments go. We wonder what fruit come of such conversations. Well, this year in a similar underpass we ran into that same man! And he was still living for God! And this year, he was the one ministering to US and even prayed for US this time! Wow! Isn’t God good?! It’s amazing to see what He can do in someone’s life and to see that real change can last, it doesn’t have to be a momentary fix. Thankful that God gives us divine appointments with people such as these. He obviously has a desire for them to know Him and is willing to use us to help reach them! 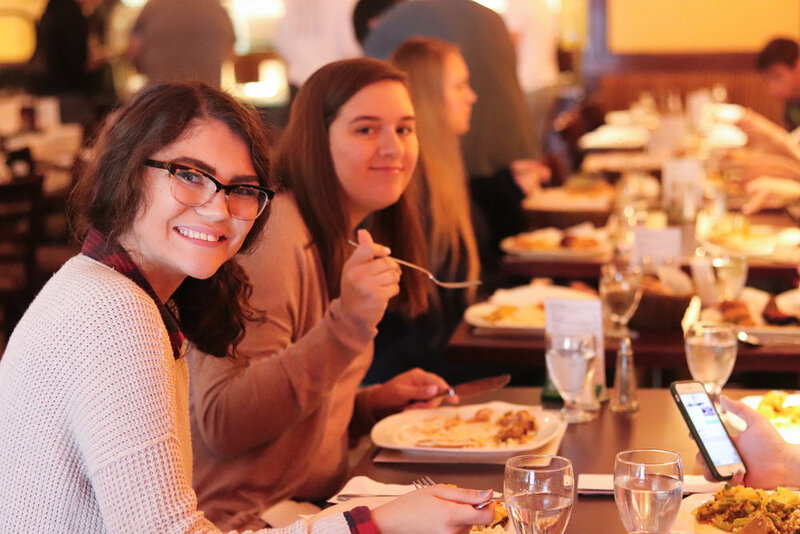 In between times of ministry we were able to tour the city, visit classic Chicago food spots, hang out in Chinatown, and enjoy some good coffee shops. It was awesome to experience the diversity and culture throughout the city. We had the best tour guide in Pastor Joey, from Belmont Assembly of God. His passion for this city and its people is so obvious, and it can’t help but rub off on those who know him. Not only did he introduce us to his beloved Chicago but also took the time to share his insights into living a zealous Christian life. Another experience we had while in Chicago was visiting the South Asian Friendship Center in Little India. It was here that we sat in on a Hindu-Contextualized Christian worship service, designed for Christians within the community who come from a Hindu background. It’s always eye opening when we can go and learn more about how people of other backgrounds and cultures experience God. This was one of those moments that our worldview was stretched as we learned about Hinduism in America and how to reach those of other cultures and religions with the gospel. Many of our most impactful moments on the entire trip came during our last day in Chicago. 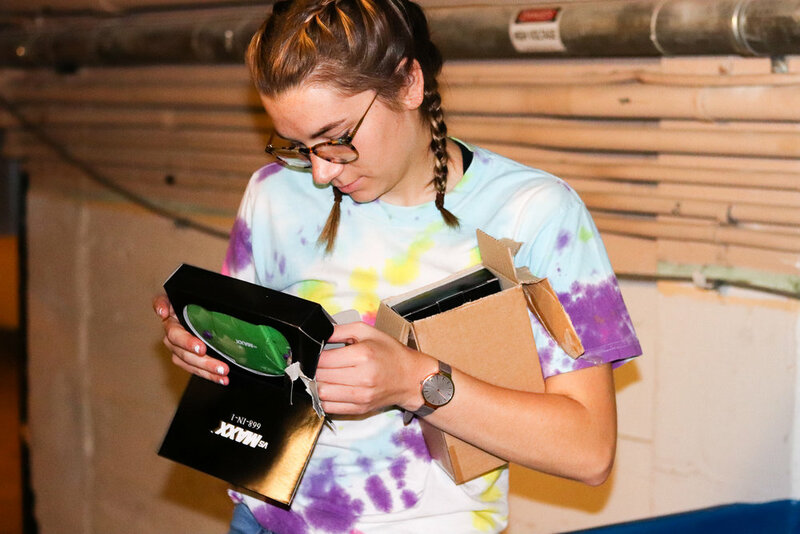 With bags filled with some essentials, blessing bags, we split into groups and went to minister on the ‘Magnificent Mile.’ We simply wanted God to use us to bless those on the streets. It is always humbling to see that the most impactful moments often come through the simplest actions. Our team learned that more than anything people just want to be noticed, heard, and cared for. More than handouts they want a listening ear. As we listened to their stories and shared some essentials, we were able to be that listening ear and turn them towards our heavenly Father. We shared that not only did we care, but most importantly… God Cares. The rest of our trip was spent in Milwaukee where we worked with City on a Hill. 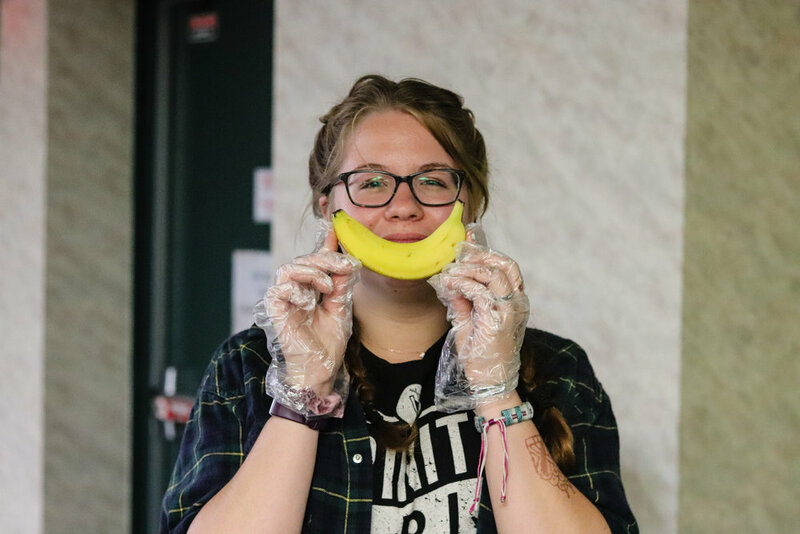 City on a Hill is a nonprofit ministry that provides resources to those living in poverty and educates the public and volunteers on the realities of poverty today. All of this while instilling the truth of the Gospel to any who will listen. They taught us about God’s heart for injustices and for those living in poverty all over America and the world. We also learned how to embrace diversity and that all people everywhere deserve respect because we are all children of God. One day, we were able to go out on the streets with some fresh hot chocolate to give out and pray with anyone walking by. We also served the surrounding neighborhoods by picking up trash on the streets and sidewalks while handing out flyers for City on a Hill. We were astounded by what we learned when we were given the opportunity to experience what living in poverty is actually like. Our experience in poverty was short but it not only gave us a greater love and compassion; it gave us the drive to make a difference. So many are without hope and here we are knowing the very Creator of hope. We simply need to be willing to DO something about it! 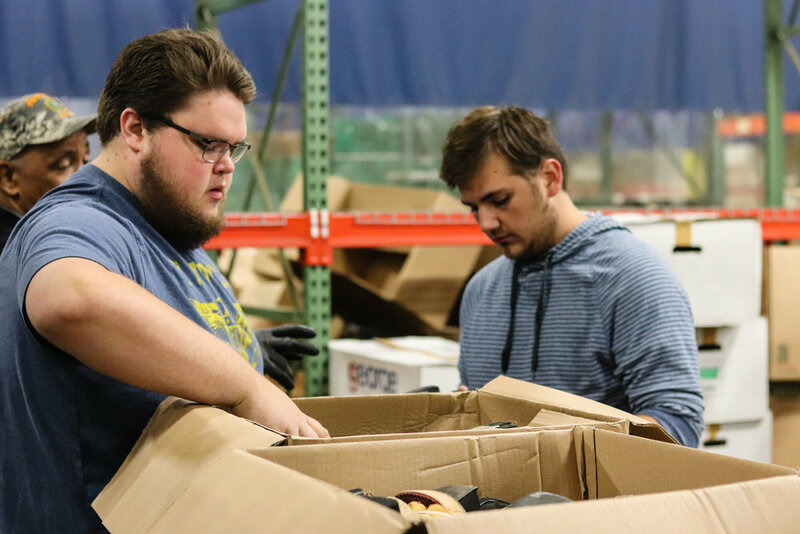 Our last morning in Milwaukee was spent volunteering at Soles for Jesus which is a nonprofit organization that sends used, donated shoes to those in need in Africa. It’s always cool to be able to see what other ministries and nonprofits are doing for God’s people all around the world. 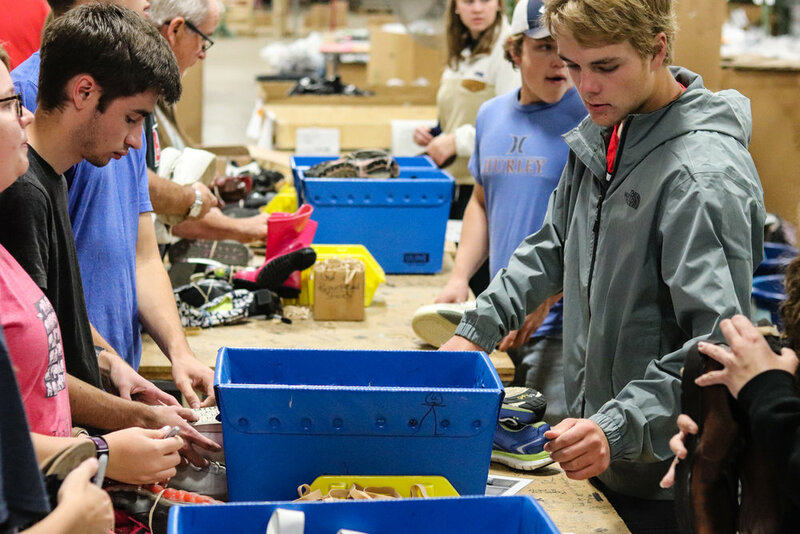 We organized and shifted through hundreds of shoes -- preparing them to be shipped off to Africa. This was such a great experience to have since in just a few short months we will be in Africa ourselves! As we left the city we can confidently say that the people, sights, and sounds will always be imprinted on us. It can be hard seeing the huge need in this world and wondering how, as small as we are, could even make a difference. Yet, we know that truly all things are possible in Christ! This is but the beginning of all that God has in store for our team.